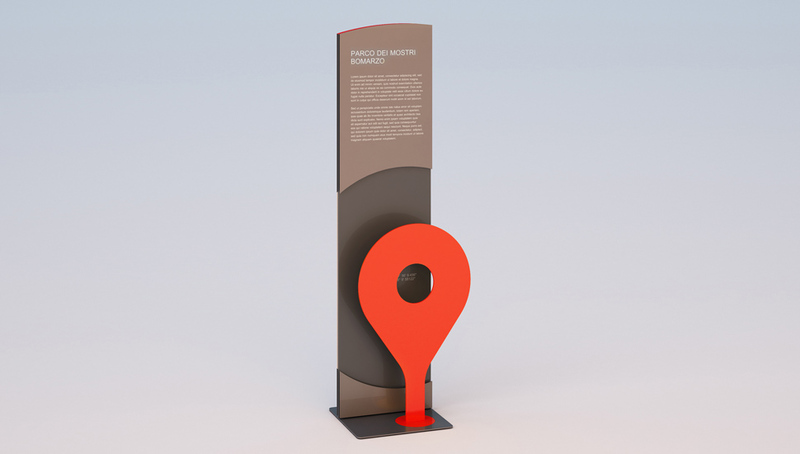 Iconic shaped totem, recalling the famous Google Maps red pin. Interely designed and manufactured in steel, painted with neutral colors. With the only exception of the pin, unmistakably red!